Following on from our Room Ambience infographic we are looking at some brilliant examples where our advice has been taken and looks fabulous. This article will look at how we can get the most out of our bathrooms interior design to create the perfect bathroom ambience. 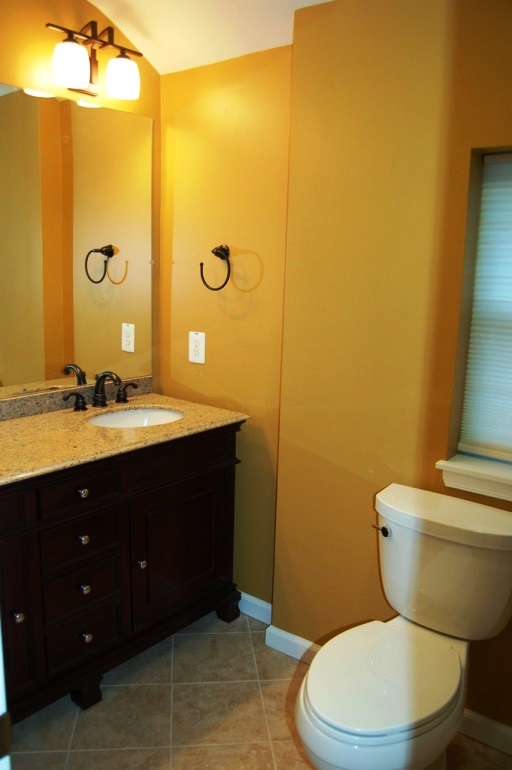 For those smaller bathrooms, yellow can help not only brighten your mood, but give the illusion of a larger bathroom. This is ideal for small wet rooms or bathrooms with just a shower. Don’t use too much yellow in a large bathroom as it can actually make you feel angry. It’s the process of a plant gaining energy from the Sun, however, plants can make us much happier as well as thrive in our bathrooms thanks to the high moisture levels and light. Tropical plants are obviously more well suited for your bathroom due to the warmth and moisture. Plants will help purify the air in the room for you, too, and more oxygen in the room makes you less stressed. 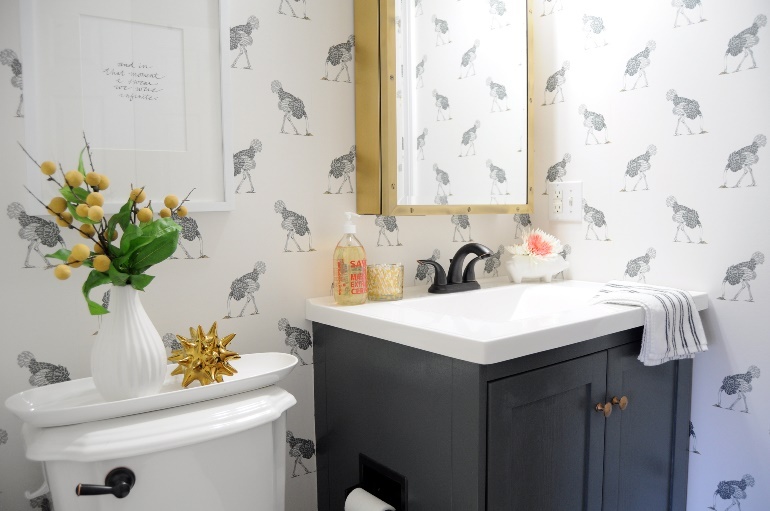 This is a technique that will work in any room, but as bathrooms tend to be one of the smallest rooms in the house, it’s a worthwhile trick to use there. By painting the ceiling the same or similar colour to the walls, it gives the impression the roof is higher than it is, therefore making the room feel bigger, more spacious and airy. 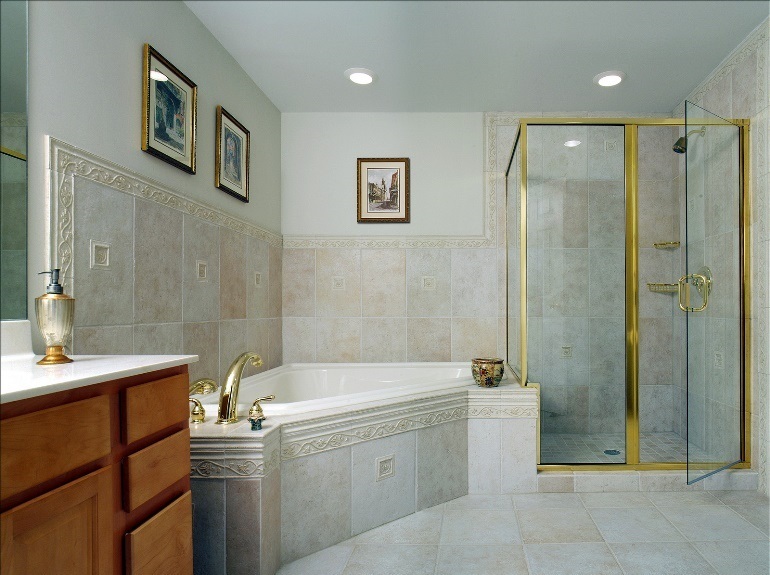 More ideas on how to save space in your bathroom.